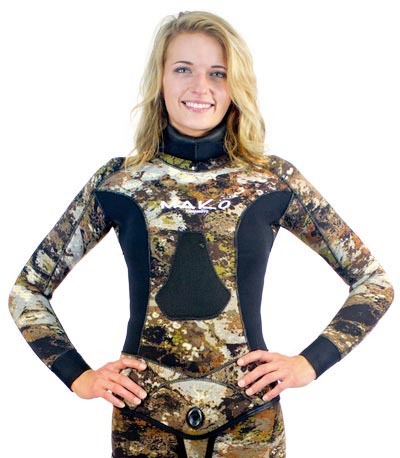 A high performance Yamamoto 3D Camo wetsuit for WOMEN! DESIGNED AND CUT SPECIFICALLY FOR A WOMAN’S BODY! 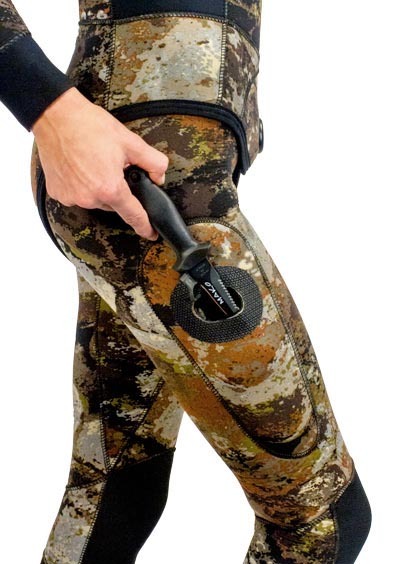 You don’t have to wear a man’s wetsuit ever again. Now, you can.. This is the highest quality Women’s wetsuit available! Using appropriately cut patterns for women's sizes 2 to 10, each suit will have a custom fit with the looks and style that women want. And the new MAKO 3D Reef Camo pattern will make you more stealth like, putting more fish in your cooler. These suits are so loaded with features, if you bought a comparable suit at a dive shop, it would cost over $450.00. So, don’t be fooled by the low price! I use the exact same, high quality factories as the expensive brands. 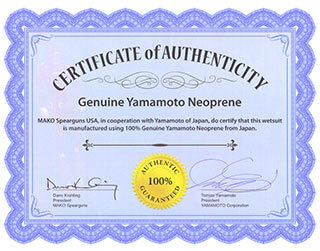 I use only the highest quality Yamamoto material direct from Japan. But because I sell direct, instead of through dive shops, my prices are much lower. Same factories! 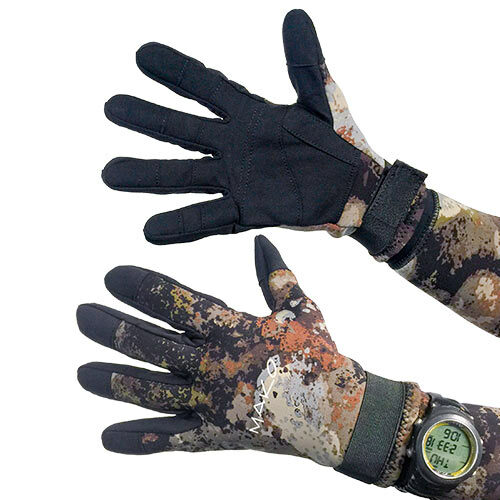 – Highest Quality Neoprene! – No dive shop markup! Great suit. Amazing quality. However unfortunately it did not fit my wife. My wife is 5'3 weighs approximately 155 but most of her weight is in her chest. She has size F36. We were recommended to order the size large but the size medium would be a much better fit. To long and the loose fit creates air pockets which allows water in. I'm going to sell this suit and order the medium large. No hard feelings though, still a 5 star product but I hope this may help someone going forward. This is the only open cell suit I've owned so I don't know how it compares to others, BUT I absolutely love it. It fits beautifully, with room for hips and chest. 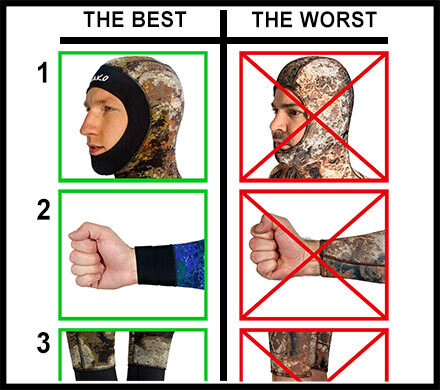 We dive in Northern California and I've stayed nice and warm with the 7mil top and bottom combo. I am 5'3", 120 lbs and I ordered the small 5mm for so cal yr round diving . Fits like a glove, surprisingly easy to put on/take off when done as directed. This wet suit is more comfortable/flexible than my 3mm surfing wetty and warmer than my 7mm scuba diving wetsuit! 3 hours freediving...didn't think about the water temp once. Seems to be very well made with quality material. I hope this holds up because I never want to use a different kind of wetsuit again. If you are thinking of getting one, go for it...this wetsuit is awesome!